I can't deny that I adore the darker, warmer shades of autumn and winter - but boy am I more than ready to get into spring time looks! Over the past couple of weeks I've been starting to change up my makeup looks to be more spring appropriate, and now we're officially in April I can't hold back any more - it's time to get the spring makeup out! When it comes to spring I'm all about the pinks, corals and subtle reds. Shades which are easy to slip into after months of deep berries and dark sultry reds, a refreshing change from darker lips switched for pretty colours that brighten up a look in a flash! Love them or hate them, red lips always make a statement. For those who can't quite face a full in-your-face opaque red, Topshop Beauty Lip Polish £8, in Honk is perfect. A delicious gel formula and more sheer in finish that the bolder reds in my lipstick stash, it has a glossy lustrous finish that works well to make lips look fuller and voluptuous. You can check out my full review alongside a Topshop gel eyeliner and cream highlighter here. Nothing says luxury like Chanel, and nothing says spring is here quite like 43 La Favorite. From the Chanel Rouge Allure Velvet Luminous Matte Lip Colour range, £26, La Favorite is a beautiful coral that has a flattering matte finish. Unlike a lot of matte lipsticks, the formula for this one is velvety soft and super luxurious; it doesn't dry out throughout the day or leave lips feeling tight. For more details on this premium beauty, you can check out my full review here. Forever one of my favourite spring shades, Lime Crime Opaque Lipstick in Geradium, £11, is a real stunner. A lovely soft dolly pink that's just bright enough for a statement lip, without being too stark or neon like a lot of pinks on the market. A deliciously creamy formula and subtle gloss finish, it's one of my favourite Lime Crime shades ever! You can check out my full review including swatches here. One of my all-time favourite MAC lipsticks and one I recently featured in my 'Top 10 MAC Lipsticks' post, is Chatterbox. With an Amplified finish this one feels really luxurious to apply, gliding on to provide a lovely opaque soft pink that's more subtle than Geradium, and incredibly flattering against a variety of skin tones. MAC lipsticks cost £15.50, so not the cheapest around but if you're looking for a pink from MAC, I'd definitely recommend giving Chatterbox a try! It's no secret I adore the Urban Decay Sheer Revolution Lipstick range, which I recently raved about in my post 'A Lipstick Revolution'. Sheer obsessed is one of my favourite shades from the range, a subtle and sheer pink that works so, so well with absolutely any look you can imagine - whether it's a natural day-time look, a perfectly bronzed complexion or smouldering sultry eyes. Costing the same as MAC lipsticks at £15.50, my favourite range for sheer lipsticks with a beautiful, soft and moisturising formula. Last but not least and another one from MAC, Costa Chic is a perfect pinky coral with a lovely frost finish that looks super flattering with a bronzed golden-goddess look. The longevity on frost finish lipsticks from MAC aren't my favourite, but you can easily get a couple of hours wear as well as eating and drinking, before needing to reapply. 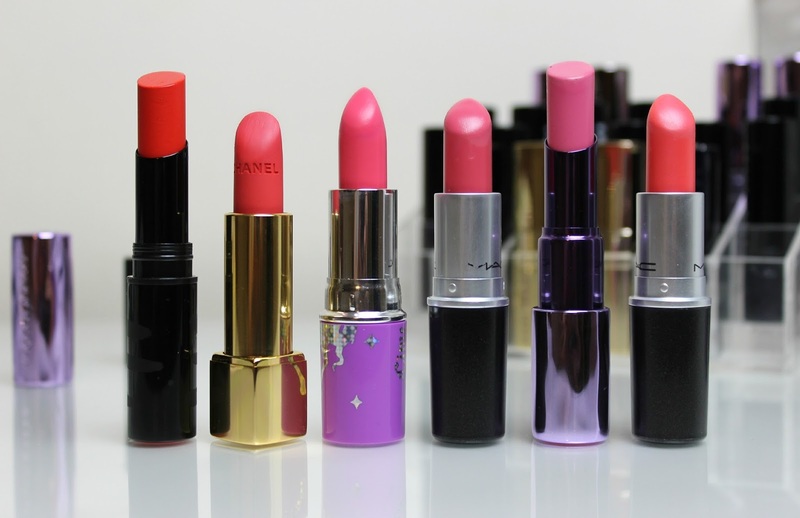 What are your favourite spring ready lipsticks? Do you have any shades from the brands I included that you think I should check out? Let me know! 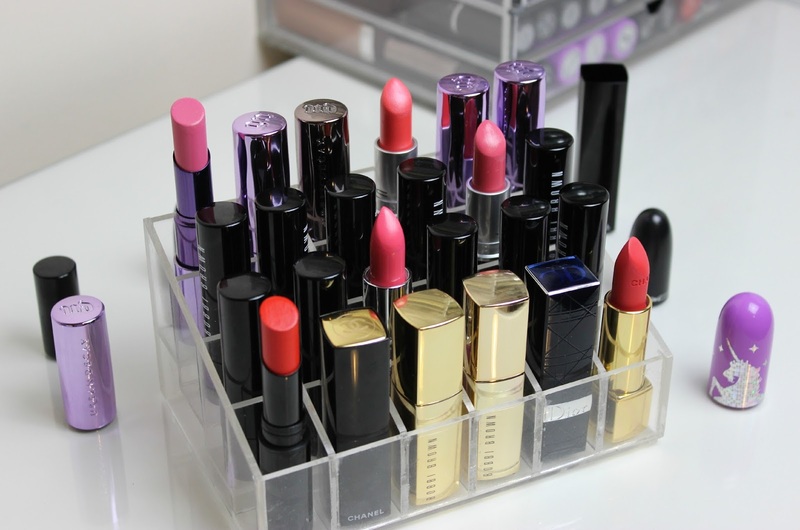 There are some lovely shades here; I especially like the look of the Chanel one and the Limecrime one. I think I'll have to introduce both shades into my collection at some point soon! I don't even own Chatterbox and I am unsure as to why as it looks so beautiful! I've been wanting to try chatterbox for a while now, i think i may just have to go pick one up.